These are the hallmarks that make The Heirloom Companies the preferred wood and ironworks manufacturer in the eastern United States. For nearly two decades, we have been creating, shaping and forging a wide range of premium stairways, railings, balconies, gates, furniture, fixtures, and custom decorative pieces that are a testament to uncompromising quality and lasting legacy.  Two decades ago Allyn and Sheree Moseley moved from California to the upcountry region of South Carolina and founded Heirloom Stair and Iron. Much of our work begins with the customer asking a simple question: "Do you have one of these and, if not, can you make it?" The answer is invariably yes... to either question. James Moseley has a gift. From his introduction to welding at age 19, he has exhibited a rare talent for artistic design.  The Heirloom Companies' lighting division to deliver premium fixtures, chandeliers, sconces, pendants, and column mounts. By perfecting a technique called "textured bronze," Joe and his team incorporate various materials to create masterful works for designers, contractors, and homeowners. The Heirloom Companies have the unique capabilities to meet the needs of a variety of customers: residential, commercial, and individual. Our experience, design skills, and technological sophistication enable Heirloom to handle any job, large or small, working with wood, iron, or both. We have a twenty-year history of award-winning quality and, more importantly, satisfied customers.